Assamese Traditional Jewellery Sets(Axomia Gohona) Best-Selling designs, Elegant work of Handicraft to rev up your Saree and Mekhela Chador outfit. 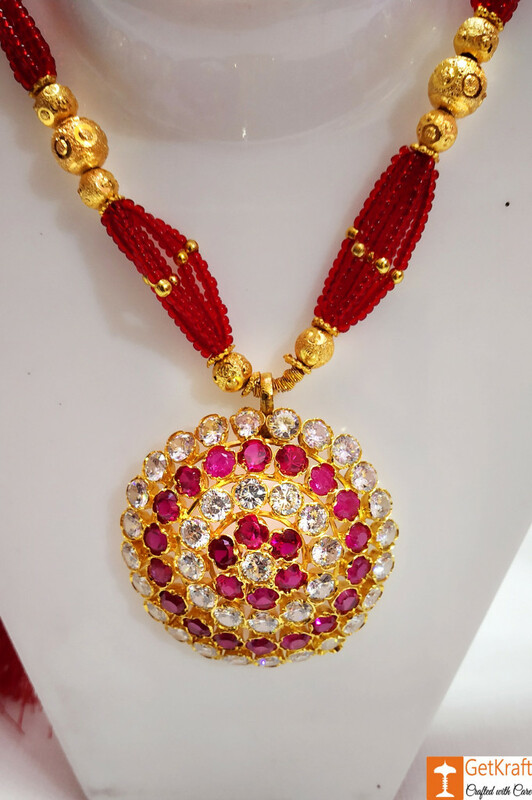 Assamese Traditional Jewellery or Axomia Gohona is entirely Handmade and only skilled craftsmen can do it. This jewellery type is mostly influenced by nature (e.g. birds, grains, animals) and others by musical instruments (drums, etc) and other daily used articles in an assamese household (e.g. jaapi, a handmade conical hat). This Set has been Polished with a fine layer of Gold at the top above the Main Frame that is made of Silver. 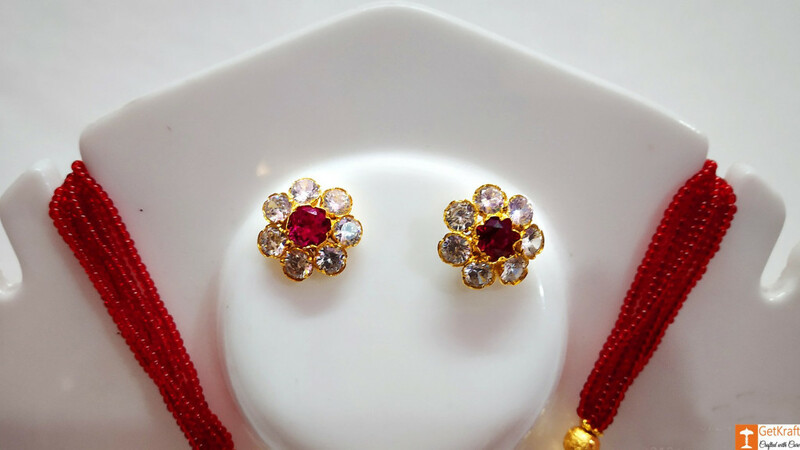 The jewellery is studded with Stones and Meenawork is done. 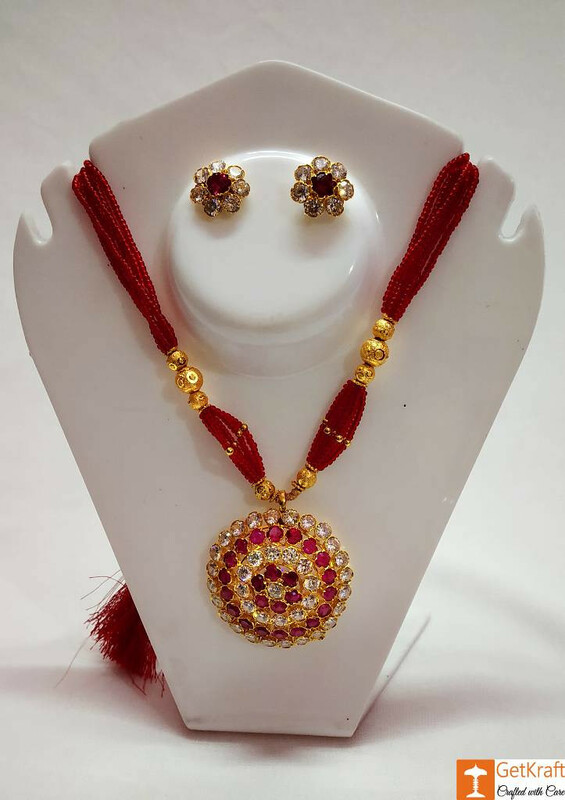 Beautiful Jewellery Set that is affordable and easy to maintain. They go very well with the local attire Mekhela-Chador. The Design of this Set is a Traditional Jaapi.